Dermal exposure to pesticides was characterized by fluorescent tracers, video imaging, and patch sampling during orchard/airblast and greenhouse/handgunner applications. Pesticide deposits on skin and patches were nonuniform over individual body regions. Exposed surface areas of upper body regions of orchard/airblast workers were highly variable, and represented 4–22% of total regional surface areas. Deposition patterns were dependent on work activity and type of application; exposure was highest on the ventral segment of the forearm for mixers, but on the dorsal segment for applicators; exposure to the front of the head was three times higher than to the side of the head for airblast applicators, but three times lower for mixers. Use of different patches to estimate head exposure resulted in two to eight-fold differences dependent on worker activity. 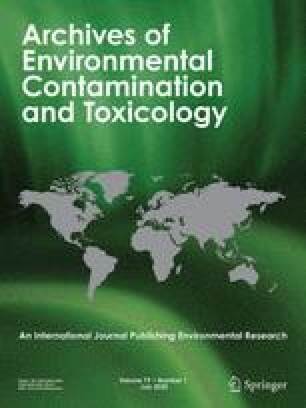 Nonuniformity of dermal exposure is the source of substantial uncertainty in exposure and risk assessments of agricultural workers.